Don't Fear The Reaper: Are we not beasts? Accessibility, as we know from top 40 stations, isn't necessarily a determinant of quality. However, when a band is disposed to full-throated roars or puttering around like demented Smurfs, added accessibility is welcome. 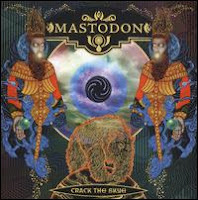 For Mastodon, that comes in the forms of singing and song structures amenable to sung vocals. The Atlanta band have been cultivating a following beyond metaldom for several years, but Crack the Skye has the potential to go wide. 2006's Blood Mountain split time between singing and barks and shouts, but their latest seems to look to Tool and Black Sabbath, metal bands with strong singers. Combined with chops that have never been fiercer, Mastodon sound hungry. For what, is less certain. Fame? Fortune? Perhaps, but the menacing riffs from guitarist Bill Kelliher on the album opener, "Oblivion," suggest something more immediate. Something like ... blood. Drummer Bränn Dailor follows the riff, commanding a march of toms that promises to take us to a place more beast than man. With a crash of his cymbals, the band churn, then break into a chugging tempo as he and bassist Troy Sanders trade off sung vocals amid lead guitarist Brent Hinds' growls, reverb dripping from their jowls. Awaking even greater wild fervor, "Divinations" begins with Hinds strumming a banjo --- until the banjo drops its disguise, revealing that it was just a pawn in the electric-guitar ambush. The slower pacing of "The Czar," split into the passages "Usurper," "Escape, "Martyr" and "Spiral," suits the dirgey singing. The vocals, perhaps colored by the reverb, at times recall Layne Staley's doomed cries; Ozzy Osbourne is the other nearest link. Animal Collective don't have Mastodon's ferocity, though on some past songs, their yawps and whoops might have given you the impression they were raised by wolves. 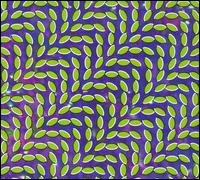 On their sixth studio album, Merriweather Post Pavilion, Animal Collective provide evidence to the contrary. These compositions are more focused than their previous ones, and when the chants wear thin, at least there are hooks. "My Girls" is an earworm, thanks to a trickling keyboard that, in a parallel universe, would have lent its services to Eurythmics. "Bluish," the album's finest moment, rolls in on shimmering synth waves and lets Panda Bear (Noah Lennox) show off a Beach Boys vocal move on the chorus. Merriweather Post Pavilion definitely doesn't sit still. A thicket of electronic insects click and chirrup away as Panda Bear and Avey Tare (David Porter) traipse through the flora, Avey the vocal yang to Panda's yin. Geologist (Brian Weitz), meanwhile, sets more of the sampler critters a-chatter. Organ pinwheels on "Daily Routine." Maracas (or their digital equivalent) rattle over shrill bleeps on "Brother Sport" as Panda Bear implores, "Open up your throat." Not so loud, dude -- Mastodon might hear you.